When the time arises it's always nice to have what you need. Keep Lifeline's Glove Box Necessity Kit in your vehicle, trailer, boat or RV for just such a situation. When the time arises it&apos;s always nice to have what you need. 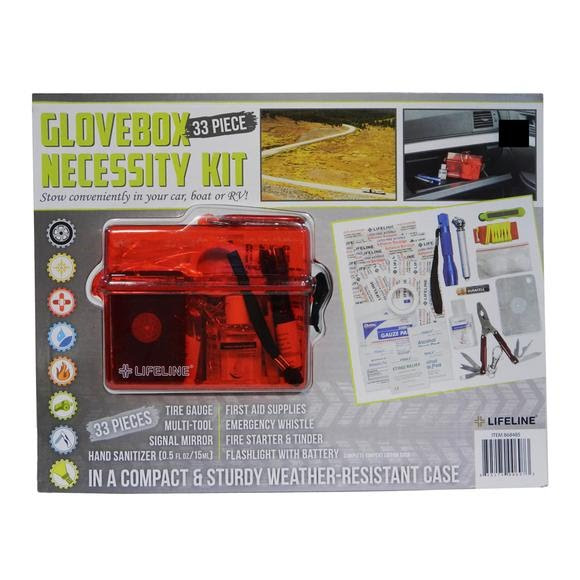 Keep Lifeline &apos;s Glove Box Necessity Kit in your vehicle, trailer, boat or RV for just such a situation.